Want this bundle + 104 More?! In this collection we are offering 23 Gorgeous High Resolution Christmas Religious Icon Images! We found these beautiful Symbols in a Circa 1846 Ecclesiastical Costume book, there weren’t quite enough to make a whole kit with them, so we added in some Church Windows, some Icon Frames and some beautiful Angels awaiting the arrival of the Christ child! For those of you that prefer Print Ready options, we are offering 5 Gorgeous Holiday Printables including Printable Seals, Washi Tape, Collage Sheets and 2 Wrapping Papers! 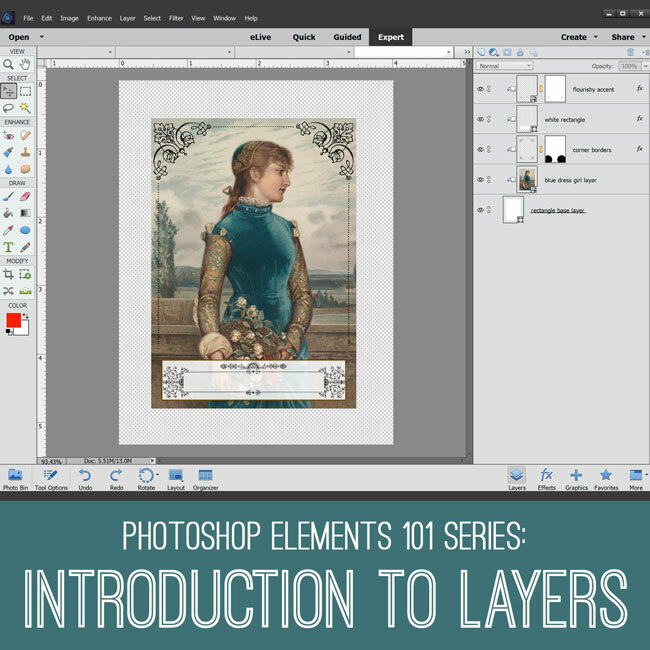 For our Photoshop Elements Tutorial this week, Emily is teaching us an Introduction to Layers in our popular 101 Basics series! That’s over 6300 files and 105 kits!!! What’s going on? Cannot access the member site….to get this week’s offering. It just keeps asking me to sign up.This was always the most user friendly site ever. Please don’t change! OK, I am old and easily confused, but simply cannot figure out whether these E-mails are for us guys who already have contracted for this fantastic service….or is aimed at prospective participants. Any chance you could simply add a button to allow existing participants to act on another fantastic offer???? Cannot tell you how frustrating it is to open message and find it is NOT useful for current subscribers. Love your site, your leadership and your products. Simply put, I NEVER pass up an E-mail from my favorite image/information source! I open each and every message and am always uncertain if the weekly “PREMIUM services” letter is for registered clients or prospective buyers. I am simply suggesting that you might save a little confusion as to the “Target” of the E-mail. Thanks for your feedback! We are thrilled to no end that you are enjoying the emails! I’m having a little trouble wrapping my head around your question. :/ Maybe this will help, our weekly Monday newsletter is for our Premium Members (or former premium Members)only. The email that comes on Fridays is our Friday Freebie email, with the free image in it and highlights of what happened on the blog the previous week, that is for anyone that signed up for it. We have a daily email that goes out each day for those people that want up to the minute updates on what was posted that day. And then finally we have the new eCourse email for those that are interested in crafting classes. We don’t add anyone to any of the lists, each one has to be subscribed to by the individual subscriber and to make doubly sure they are asked to confirm that via an email sent to them. We use two different email clients to deliver our emails. At the bottom of each email you should be able to unsubscribe from that particular email, so if you are on multiple lists you may need to unsubscribe multiple times, once for each list. I hope that helps! I have never used photoshop. . Will this teach me how in the photoshop elements 101? Thank you.